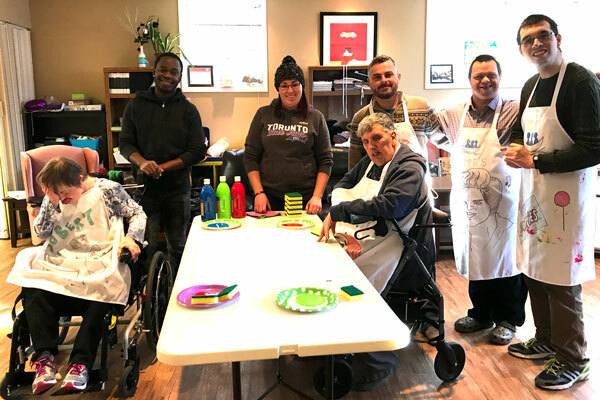 Through the Community Participation Program, core members are supported to work, volunteer or participate in activities throughout the city of Greater Sudbury. During the day, we have scheduled art sessions in which core members are encouraged to express themselves through art. James, Matthew, Roma, and Eddy used paint, sponges, and glitter to create a collaborative art piece that represents our community. 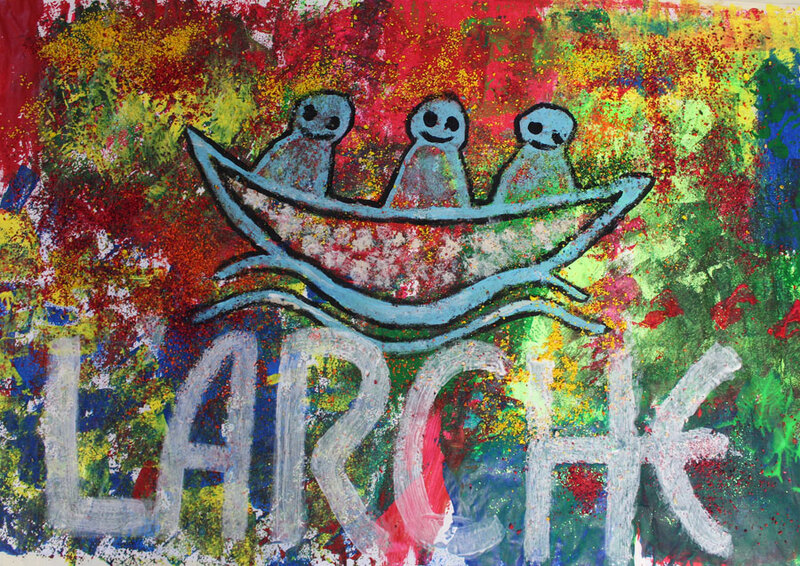 Together they produced a beautiful painting that depicts three individuals journeying together in the L’Arche boat. Eddy Howard always says how much he loves this painting, ‘Journeying through L’Arche’ and that he is very eager to create another painting together with his friends.